Keyrah makes keyboards of classic computers available to new computers. 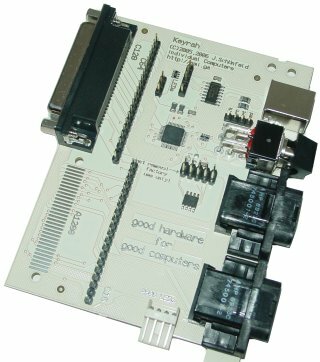 The board fits the case of a Commodore 8-bit computer (such as Commodore 64 (II), SX64*, VIC-20, C128, C128D, C-16, C-116*, Plus/4*) or an Amiga 1200/600, and turns the computer into a USB keyboard. Keyrah gives new life to defective computers, or computers that have been moved to a different case, because the mainboard is no longer needed. In addition to that, two digital joysticks can be connected that will act as additional keys (for example cursor keys). The joystick ports show a special strength of Keyrah: The high data transfer speed. For the full gaming fun, Keyrah transfers its data ten times faster than some USB joysticks do! 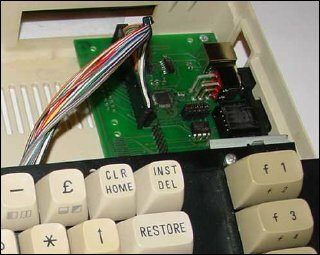 As a special tidbit for fans of the C-64, the switch used for keymap selection is almost identical to the one of the original computer. It switches between two keymaps that are either adjusted to the daily use under Windows, or especially for emulators like Vice, Yape and Amiga Forever. Keyrah has been successfully tested with all common operating systems like Linux, Amiga OS, Mac OS and Windows. 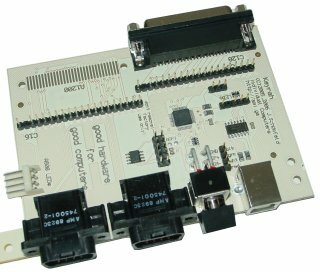 It works on desktop and laptop computers, but also on the X-Box or the Raspberry Pi. Keyrah is a standard USB human interface device, so proper function is also ensured with systems that are not mentioned here. The picture in the right corner above shows a prototype version with green PCB built into a Commodore 64C. The regular PCB is white like shown on the right hand side and below. Please note: There are different versions of the Commodore 8-bit version, this is especially important for Commodore 128 and 128D users. 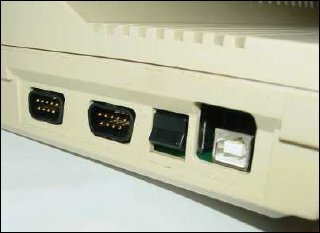 The version for the C128D comes with a 25-pin connector for the C128D's external keyboard, the C128 version offers pins for the connection of the C128's internal keyboard. Please select the version that matches your computer (and your language). Keyrah features both an internal (4-pin header) and an external USB connector. * Soldering required for the machines marked with an asterisk.